Metro Vancouver is brimming with things to do and see all year round. While many people claim that the city is boring, there’s no shortage of activities to enjoy. So, whether you like to keep things relaxed or go on a brisk hike, Vancouver will keep you busy from sun up to sun down. Actually, the city is notorious for rain, so sunshine is not guaranteed. Nevertheless, we’ve complied a list of indoor and outdoor activities to enjoy in the lower mainland all year long. Of course, some celebrities are notoriously low-key, and meeting them is nearly in possible; however some of them are shockingly easy to meet. One such person is Dwayne “The Rock” Johnson, whom the city positively adores for his amicable persona and approachability. And, he’s not the only one. In fact, there are a number of eateries where celebrities are known to frequent. These spots should be high on your radar if you want to see someone famous! 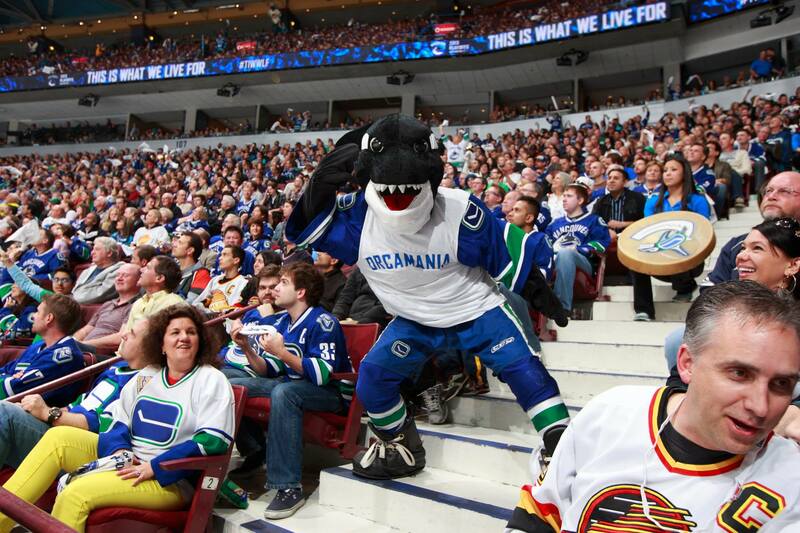 Forget celebrities, there’s nothing like spotting a Killer Whale in its natural domain. These breathtaking marine mammals make their way right up close to the shore in many areas, and you don’t need to go on a fancy excursion to spot them. With that being said, there are numerous companies that will guide you to see them. Without the sense of sight, the senses of touch, taste, hearing and smell are intensified, allowing a new perception of reality. In addition, the servers at Dark Table either blind or visually impaired, so they are skilled at navigating the darkness. Bon appetit! Aside from inspiring and educating inquisitive Vancouverities, the space centre offers an aesthetically appealing allure. The shows are fascinating and beautiful, and tons of fun. Designed for adults, the Lost Souls of Gastown walking tour is also a marvelous theatre piece. The plot weaves through back streets and alleyways to a dramatic finale in the heart of Gastown’s Maple Tree Square. While there are myriad ways to enjoy a night out in Vancouver, night painting is undoubtedly one of the most creative. In addition, is it a great indoor activity during the chilly winter months. This breathtaking pier is perfect for a date or a walk with friends. What’s more, it even has an adorable Tin Man soaring above the pier that is great for photographs. Nothing quite complete the trip like locking up a love lock along the waterfront. Also, there are myriad places to eat and enjoy ice cream in the summer. Visiting the waterfront pier is one of the best things to do in New Westminster during the summer. There are a number of places to grab dessert in Vancouver, but not all over them are open that late. Moreover, not all of them are really all that good. We’ve compiled a list of the best spots to satisfy your sweet tooth all night long. So whether you love cheesecake or chocolate mouse, there’s something for you. This iconic market offers tons of vendors selling clothes, jewelry, electronics, and art pieces. The food is also the perfect reason to go – with tons of options to satisfy your cravings. 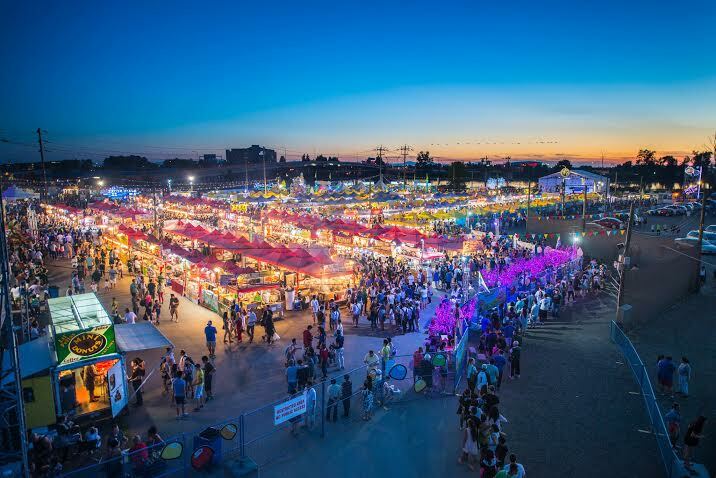 Come summer, visiting the night market is one of the best things to do in Richmond. Bowling brings people together over drinks, food, laughter, and the general silliness of it all. Throw in that some of these alleys are glow in the dark, and it isn’t hard to see why people can’t get enough of the sport. Hit up Rev’s (Burnaby and Maple Ridge) on a Friday night for cosmic bowling ($6-7 per person per game). Grandview Bowling (Vancouver) has a 3-game special for $17 per person. While the beach is appealing, sometimes all the sand and the trek simply aren’t in the cards. From heated to saltwater, to hidden and luxurious, we’ve got a list of some of the best outdoor pools in B.C. complied here. 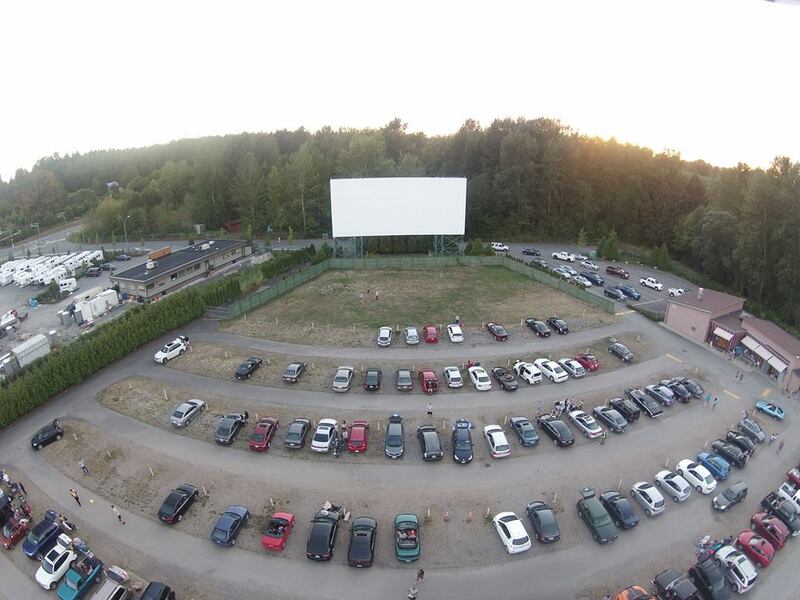 There’s nothing more nostalgia-induing than the drive-in theatre. A blanket of stars and the silver screen hail times long past, and feel purely magical during the summer. Forget the indoors, this Langley spot is the perfect place for a romantic date. One of the top things to do in the city is visit the mountains. With some of the most scenic views in the world, Vancouver hikes are always worth the sweat. 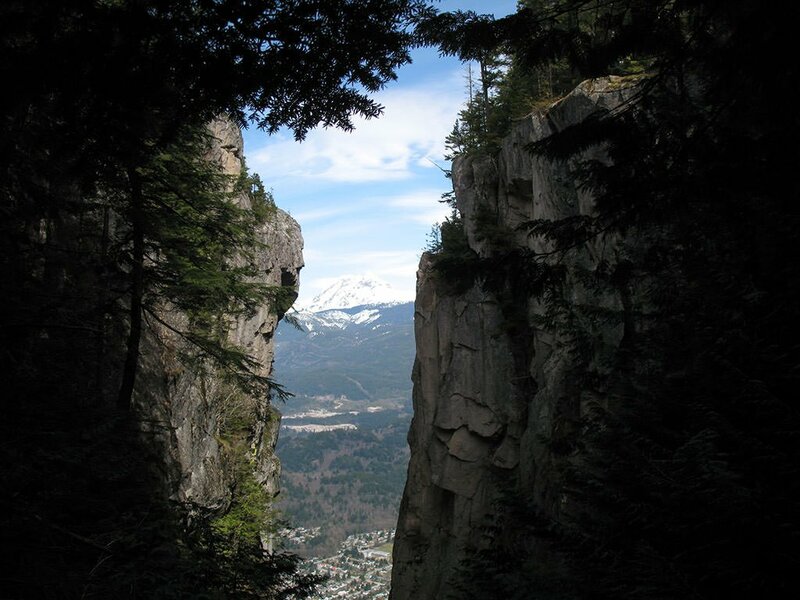 Whether you are out for the Grouse Grind, the Stawamus Chief, or something a little easier, be sure to wear appropriate footwear and get out of the woods as night falls – many popular hikes share space with bears and cougars. No matter where you go, shopping is always on everyone’s list of things to do. Even if you’re simply window shopping, there’s all kinds of things to see downtown. What’s more, you can make a meal out of food carts, and some of them are delectable. Besides the fact that sushi is delicious, conquering an 18 inch sushi roll is a claim to fame that few hold. Make yourself an instant legend by eating this sushi monster in Burnaby. Not sure what kind of poutine you’re in the mood for? Not sure what kind of ambiance you are looking for? No problem! Vancouver has a poutine tickle for every fancy. Mexican poutine, vegetarian poutine, pizza poutine – Vancouver has got you covered. Let’s not forget “Monster Poutine.” Fries dripping with house-made mushroom gravy, shaved prime rib, sautéed onion, mushroom, cheese curds, and a sunny side up egg. Yep, that’s a thing. Right in the heart of Gastown, Guilt and Company serves up nightly live music and a plethora of delectable, inspired cocktails. They also offer a wide selection of board games (including Giant Jenga, which can be set up in the back room). Yes, it’s nice when the Trevor Noahs, Chris Rocks, and Bill Burrs of the world swing by, but Vancouver is home to many insanely hilarious comedians all year round. With a plethora of places to check them out, including Laffline Comedy Club, the Comedy Mix and Yuk Yuks, there’s always a place to get your laugh on in the city! From the farmers market to the open ocean, Granville Island is a feast for the senses. Packed with artisanal cheeses and a range of herbs, to fresh seafood and fluffy pastries, this Sunday stroll may leave you feeling more full than when you left! Take in the elegant stylings at this beautiful venue for a sophisticated outing. Your earbuds can enjoy a range of shows, many featuring contemporary pieces while others capture the classical ones. Known for great live music, the city is home to some established performers as well as up-and-comers. Immerse yourself in the delicate stylings of a pianist over a meal or go for something more lively at a fun Irish bar. Touted as the nicest park in North America, this giant wonderland is home to some of the most naturally gorgeous views in the world. Enjoy a simple stroll or go for a long hike in this pristine oasis. Take in the pristine floral artistry at Van Dusen Botanical Garden. Get lost in the Elizabethan-style maze and enjoy the myriad colourful flowers and plant life. Depending on time of year, admission is $8-$11 per person. Robson Square provides free skates daily for a few months during the winter. Located hear of downtown Vancouver, the rink rents skates for $4, but people are welcome to bring their own instead. What’s more, the rink is open late, until 9 pm, so people are able to use the rink for dates or late night skates with pals. Also, the rink has concessions near by in case you would like a snack or something to drink. Whistler offers this phenomenal winter experience for aficionados of the activity, or for those who are taking the leap for the first time. Surrounded by old-growth forests, it is British Columbia’s highest year-round bungee jumping venue featuring a 50 meter drop. Fireworks are great anywhere, but set against the stunning backdrop of Vancouver’s coastline? Those are simply spectacular. Be sure to catch the sky fiesta up close and personal this summer at the annual Celebration of Light. The café allows cat enthusiasts to grab a coffee and get in some much needed kitty time. They also work with the SPCA to match felines with their ideal human companions – awe! Residents and visitors of Metro Vancouver can enjoy the company of these cute creatures by visiting the Kensington Prairie Farm in Langley, British Columbia. The alpaca farm is home to a large herd of inquisitive creatures that are sure to steal hearts. Before you drop in for a visit, however, you should call to arrange a tour. While these are still go karts, they can actually reach speeds of up to 75 km per hour. Further, they offer cutting edge technology; a split axle with a differential provides the best cornering. Forget a boring hang with friends rev the engine of an electric go-kart for some heart-pumping fun! Physically dynamic and stunning, this amazing centre boasts some of the most immerse learning facilities available. It’s also incredibly fun, and the perfect way to spend a day. While it is still lots of fun during the day, it is very crowded with families and classrooms. In order to beat the crowds, Science World offers After Dark – adult only evenings that take place every 2 months. You can unleash your inner child without having to circumnavigate large packs of children, and it will be a very memorable night. Vancouver may be notorious for hopping on and off the Vancouver Canucks bandwagon, but one thing is for certain: this hockey franchise is a huge part of the city. While they may not always win, the games are incredibly fun. Furthermore, the food and beer are simply delicious. If singing is on your list of things to do, karaoke brings out the musical best and worst in people, but it is always entertaining. In addition, Vancouver has some of the best karaoke hosts and venues, so you’ll be sure to have an amazing time. Located in the heart of downtown Vancouver, this impressive facility boasts a number of classic and contemporary artwork. It also holds an impressive calendar of exhibits, with some of the greatest artwork in the world making its way through the space. In addition, the gallery hosts a number of events, and some include adults only nights with wine and beer. While traditional burlesque is a ton of fun, these shows are truly unique. Incorporating comedy, acting, and choreography, these performances are extremely impressive. What’s more, there’s a theme and genre to suit just about everyone. Whether you love Alice Cooper, Disney princesses, or even Pee-Wee Herman, there’s something you’ll love. From The Rio Theatre to the Screaming Chicken Theatrical society, Vancouver makes burlesque a legendary exhibition. Not only does the aquarium house a litany of adorable sea creatures, but it is also an innovative and immerse learning environment. Visiting their facility in Stanley Park is one of the top things to do for many tourists. The seawall is one of the most breathtaking parts of Vancouver and an absolute must on anyone’s list of things to do in the city. There’s nothing better than a bike ride along the seawall to take in this jaw-dropping waterfront view. You can bring your own bike or rent one from one of the many shops in the area. If biking is not your thing, try rollerblading or just go for a nice leisurely walk along the water. Is there anything we can add to our guide of things to do? Let us know in the comments below!